James is a PhD student in cultural anthropology. His current work deals with indigenous experiences of territory, displacement, and diaspora. His areas of specialization are Latin America (with an emphasis on Mexico) and im/migration and farmworker issues in the United States. He combines historical methods and collaborative and activist ethnography. His interests include indigenous and Afro-Latino diasporic movements, visual and media anthropology, popular music and culture, and decolonial Latin American philosophy. 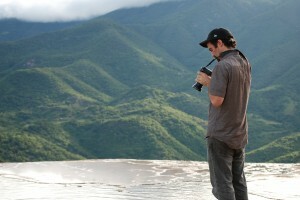 He is also a photographer, documentary filmmaker, and musician.